Do you need an eye exam, even if you have no complaints about your vision or eyes? The answer is a resounding: Yes, everyone needs eye exams! Eye care specialists recommend that everyone, regardless of age or physical condition, schedule regular eye exams. In the same way that a physical exam evaluates your overall health, a detailed eye exam checks your ocular health. Using high-powered magnification and advanced diagnostic equipment, our eye doctors will pay attention to any vision changes and signs of eye disease. With adults and children, vision often changes over time. The development or progression of many common vision conditions is associated with aging. Eye exams are the best way to ensure that your vision prescription is up-to-date and accurate. With kids, our experienced optometrist will inspect carefully for any undetected conditions that may interfere with learning. We will assess your internal eye tissues carefully to spot the early signs of eye disease, such as macular degeneration, cataracts,and glaucoma. Generally, these conditions are not symptomatic during the early stages. A comprehensive eye exam is therefore the only way to make a firm diagnosis – before you suffer vision loss. Eyes are like a window for our eye doctor to view your overall health condition. Many life-threatening diseases, such as diabetes, hypertension, and high cholesterol, can affect your eyes before you are aware you have a problem! If our eye doctor spots the signs of these diseases in your eyes, we’ll use specialized procedures to monitor your condition closely to prevent future eye complications. First-rate eye care is founded upon an open, positive relationship between eye doctor and patient. We will share all of the results of your eye exam with you and answer your questions. If treatment is needed, we’ll discuss your visual requirements and lifestyle needs in order to decide upon the most suitable course of action. Your quality eyesight is our focus! 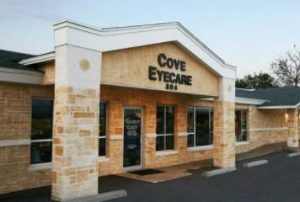 Contact us to schedule an eye exam in our modern, pleasant office. 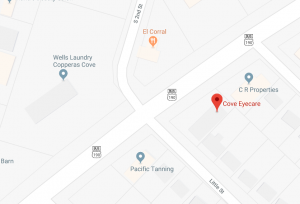 We’re located conveniently to serve Killeen, TX, and many nearby communities.